Spain’s dictator from 1939 – 1975, Francisco Franco, was vehemently against what my Spanish family stood for: a democratic republic. It’s important to keep in mind that Spanish politics and the verbiage used is different from political definitions in the United States. Where the US democratic party is considered to represent more liberal and even “socialist”-leaning values and Republicans are conservative, the Spanish “Republicans” are the liberals, also known as “Leftists”, and the “Nationalist” are the conservative parties which also entails Fascists, Monarchists and Right-Wing groups. As you can see, it is reversed compared to what is known politically in America. Knowing about these distinctions in Spain is important in my understanding of my Spanish family history. For hundreds of years, the country’s two factions have been primarily between a Democratic Republic and the Monarchy. My family, del Riego y Orozco, is instrumental in establishing the first Spanish Republic and were in opposition to the Monarchy when they would not allow for and support a democratic constitution for the people. 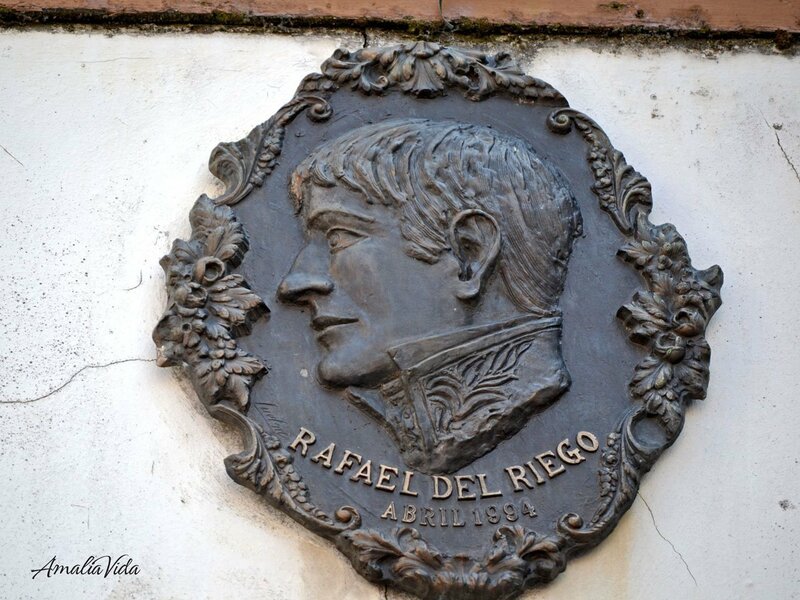 Above Image – A plaque of the General Rafael del Riego, that still exists in the Asturian town of Tineo. It was my 4th Great Uncle, General Rafael del Riego y Nuñez, who significantly aided in establishing the First Spanish Republic and restoring the Constitution for a time. These were times of immense instability in Spain, politically and economically. In 1808, General Rafael fought in the Spanish War of Independence, also referred to as the “Pennisular War“, and was taken prisoner by the French. He was able to later escape, only to return to Spain in 1814 when the Spanish Constitution of 1812 was abolished by King Fernando VII. The General took an oath to the Constitution and in 1820 led a mutiny in the seaside town of Cadiz, demanding the return of the 1812 Constitution. With the combined forces of military marches on Madrid in March, the King finally agreed on March 10th to restore the Constitution. Above Image – A monument of the General, in Oviedo, Asturias. Only a year after the re-establishment of the Constitution, my 4th great-uncle was wrongly accused of “Republicanism” and imprisoned. The love of the people for him resulted in demonstrations in Madrid that contributed to his release. Yet in 1822, an alliance of European countries, known as the Quintuple Alliance, took measures against their perceived threat of Spain’s growing Republicanism and chose France to restore an absolute Monarchy in Spain. When the French Army crossed the French border into Spain in April of 1823, General Rafael del Riego y Nuñez fought back with his troops. In September of that year, he was betrayed and taken as a prisoner to Madrid. Despite his request for clemency from the King, he was declared guilty of treason for voting to take power from the King and in November was hanged at Le Cebada Square in Madrid. Above Image – The home where the General was born, in Tuña, Asturias. Throughout Spain, General Rafael has been known as a figure of the Spanish Republic. During the Spanish Civil War El Himno del Riego, a song written by his troops in honor of him, was designated as the anthem for the Second Spanish Republic. 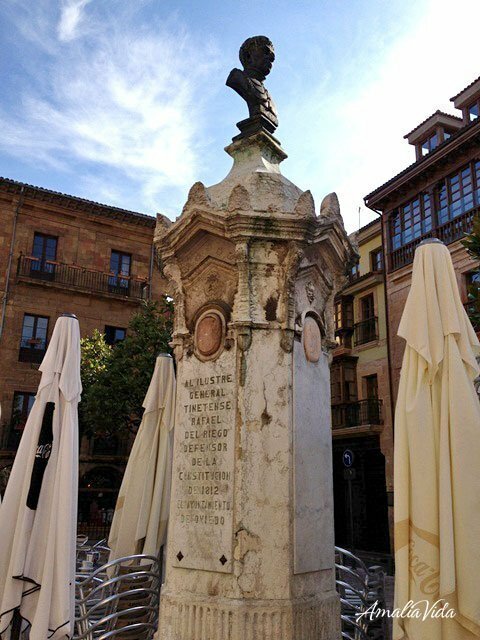 In the cities of Madrid, Barcelona, Oviedo and Cadiz, streets and squares bear the family name and leave a vivid reminder with statues or busts of the General. 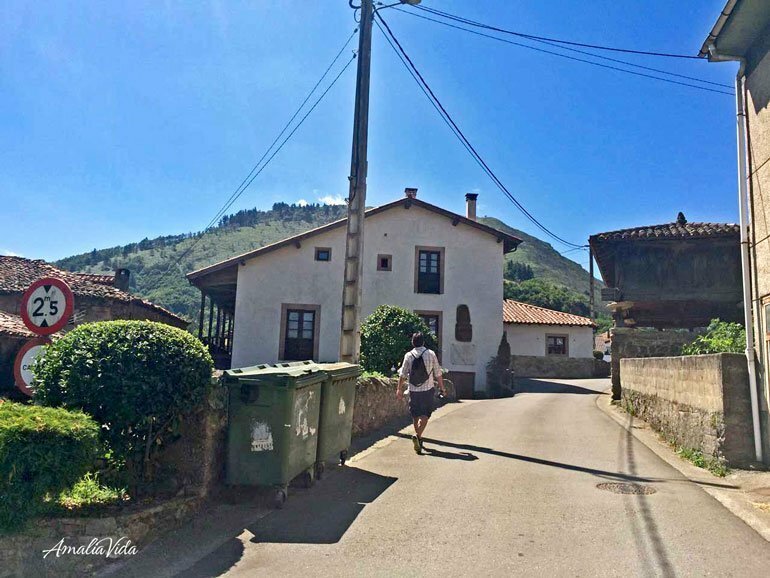 Smaller towns, such as our family’s parish of origin in Tuna in the region of Asturias, now have the original family home dedicated as a historical monument. During the Spanish Civil War, Franco removed many of the street names and statues dedicated to our family in Madrid and Barcelona, yet they were later restored after Franco’s death as the country rapidly transitioned to Democracy. I’m proud and honored of my family’s legacy in Spain. For me, it also carries with it a sense of responsibility and a strong connection to the country and its people. I find that in Spain and its neighboring old-world countries in Europe, family legacies like mine carry on for generations. Sentiments and values linger and are re-born, even if it is generations later. So it is not surprising to me that my abuelito (grandfather) would follow in very similar footsteps to that of our ancestor, General Rafael. Yet while he met with similar, perpetuating conflicts, abuelito’s inherited values and traits manifested in some different ways, leading down a different path all together. Read what’s next in “The Chronicles of Heritage“. Excellent! look forward to reading more!